Honor Student Magazine features Success Won’t Wait volunteer – Success Won't Wait! The April issue of Honor Student Magazine featured our very own volunteer Ashley McNeill in the Honor Student Profiles section (page 9). Ashley was chosen for her leadership skills and outstanding community service over the last 8 years for Success Won’t Wait. 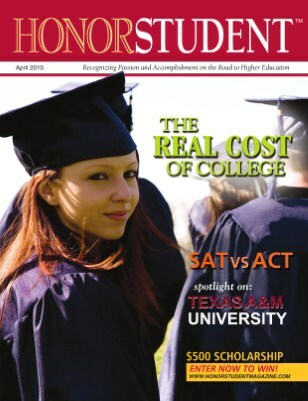 According to Honor Student Magazine, the publication offers a select group of high school students a unique platform in which to highlight their exceptional student performance. In addition to honoring student success stories, the magazine is dedicated to bringing accurate and useful information about the exciting yet scary journey from the college application process to higher education success.